Produced by Jerry Bruckheimer and directed by Rob Marshall, "Pirates of the Caribbean: On Stranger Tides" captures the fun, adventure and humor that ignited the hit franchise--this time in Disney Digital 3D(TM). 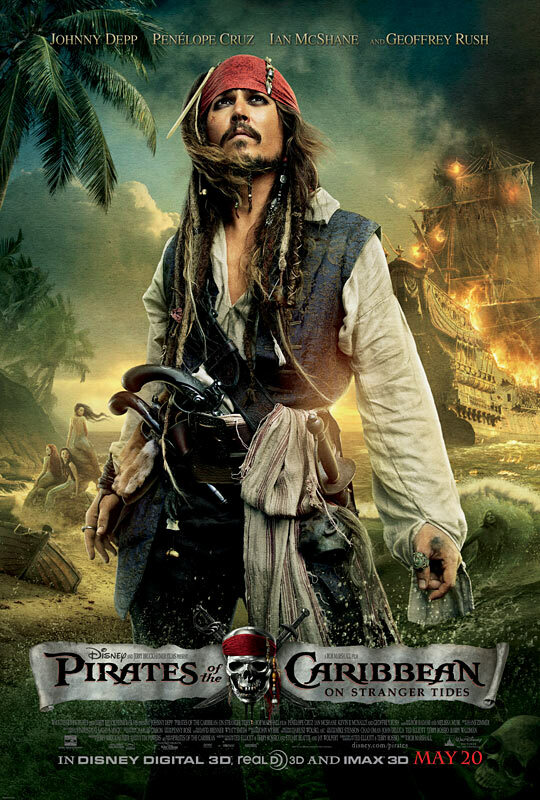 Johnny Depp returns to his iconic role of Captain Jack Sparrow in an action-packed adventure. Crossing paths with the enigmatic Angelica (Penelope Cruz), he's not sure if it's love--or if she's a ruthless con artist who's using him to find the fabled Fountain of Youth. When she forces him aboard the "Queen Anne's Revenge," the ship of the legendary pirate Blackbeard (Ian McShane), Jack finds himself on an unexpected adventure in which he doesn't know whom to fear more: Blackbeard or Angelica, with whom he shares a mysterious past. The international cast includes franchise vets Geoffrey Rush as the vengeful Captain Hector Barbossa and Kevin R. McNally as Captain Jack's longtime comrade Joshamee Gibbs, plus Sam Claflin as a stalwart missionary and Astrid Berges-Frisbey as a mysterious mermaid. Plz, Post a Thanks To Keep This Post Alive!